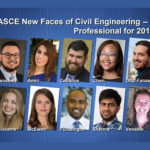 Congratulations to ASCE’s 2017 class of New Faces of Civil Engineering – College. Make a mental note of the names of these budding engineers. They’re already demonstrating the potential to lead the profession to new heights. A native of Rothesay, New Brunswick in Canada, Katie Haslett is a student at the University of New Hampshire. She is active in UNH’s ASCE Student Chapter and the Civil Engineering Materials Research Group at UNH, where she has conducted and presented independent work at regional conferences. For an undergraduate research fellowship with UNH, Haslett focused on evaluating intermediate and low-temperature fracture properties of asphalt mixtures and their links to pavement-cracking performance. Entering college, Haslett wasn’t interested in engineering as a major, but found inspiration in the UNH faculty and a cousin who is a geological engineer. “The impact of seeing successful female engineering professors has motivated and inspired me to want to make a difference, and work towards making contributions that will affect the future and how things are done from an engineering perspective,” Haslett said. In addition to her civil engineering endeavors, Haslett is captain of UNH’s women’s ice hockey team, a member of the Student-Athlete Advising Committee, and involved with Inter-Varsity Christian Fellowships. As a high school student, Margarita Kovalchuk was inspired by a Society of Women Engineers event. Less than a decade later, she was back at a SWE event – this time as one of the organizers. Kovalchuk, a student at California State University, Sacramento helped plan Women’s Shadow Day 2016, where 80 high school girls had the chance to learn from CSU Sacramento engineering students. 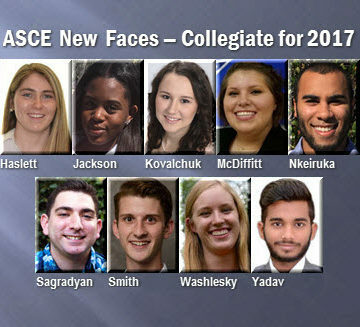 Kovalchuk is a member of her school’s ASCE Student Chapter, especially active with the water treatment team. “I’m excited about my future as a researcher and engineer; the findings of my work may be the key to saving hundreds of thousands of lives,” Kovalchuk said. Kovalchuk has experience interning at Kennedy/Jenks Consultants in Sacremento, where she worked on a pipeline conveyance project that transported contaminated groundwater to a treatment plant across a river. Much of her volunteer work centers on helping younger students. She mentors freshmen engineering students and takes part in SWE’s Math Engineering Science Achievement Program. Kovalchuk also serves on an engineering advisory committee at River City High School in West Sacramento, CA. She is also a long-time accompanist in a youth choir and teaches Sunday school. You might not think a Renaissance Fair could inspire an engineering career, but then you might not have met Kathleen McDiffitt. A student at Fairmont State University in West Virginia, McDiffitt took to civil engineering as a seventh-grader when her middle school’s Ren Fair featured a catapult competition. She designed and built her own catapult and took home first prize. She’s been excited about civil engineering ever since. She is an active member of Fairmont State’s ASCE Student Chapter. She’s also drum major and president of the FSU marching band, while playing alto saxophone and flute in its jazz band. On top of it all McDiffitt serves as a vice president of the Theta Sigma chapter of Kappa Kappa Psi. “I am excited to mentor young women and girls into civil engineering and help transition the field to be more female-friendly,” McDiffitt said. Mais Sagradyan’s grandfather was a civil engineer. Although he died about 10 years ago, he remains an inspiration to his grandson, who plans to follow him into the profession. 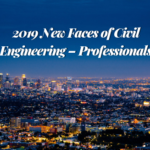 Today Sagradyan is a civil engineering student at California State University, Long Beach, where he is co-president of the ASCE Student Chapter. His grandfather emigrated to the United States from Armenia, where he had worked as a city engineer. Sagradyan also has participated in the Pacific Southwest Conference 2016 as conference coordinator, the ASCE annual convention, and Concrete Canoe. 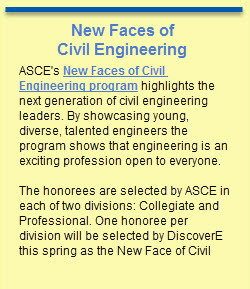 He is a member of Chi Epsilon Civil Engineering Honor Society and the American Public Works Association. At the University of Alabama, Clint Smith shows his passion for civil engineering through his involvement with the Crimson Tide’s ASCE Student Chapter, the BEST Robotics Competition, and Habitat for Humanity. Smith interned with Birmingham Water Works as a co-op student where he worked in the pressure control department and gleaned valuable experience investigating water quality in the Birmingham Metropolitan area. He also served as an undergraduate research assistant at the University of Alabama’s GIS lab, where he helped integrate two linear databases of state highway routes in Wisconsin. “I hope to be able to impact thousands of lives by being able to provide safe drinking water across the globe,” said Smith on what excites him about a career in civil engineering. 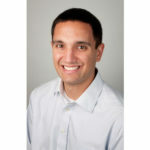 Smith is also active in a university mentoring program where he assists first-year engineering students and first-year honors students in the Honor Year One program. He also volunteers with the university’s Children’s Miracle Network Dance Marathon, and is currently the assistant director for First Year Involvement program. For Savannah Washlesky, civil engineering isn’t just a career track, it’s a mission. 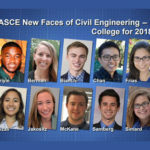 “Studying civil engineering was an extension of my desire to use my career to serve others – something civil engineers do every day through the advancement of safe and efficient buildings, bridges, roads, and water resources,” said Washlesky, a student at the University of Notre Dame. Washlesky was particularly inspired as a high school junior during a mission trip to Honduras. Since then, she has applied her civil engineering skills to service projects in Nicaragua, Haiti, and the Appalachian region of the United States through participation in Students Empowering through Engineering Development, and Bridges to Prosperity. Washlesky interned with HNTB in Plano, Texas, where she worked in the bridge department designing prestressed concrete girders for a highway overpass bridge. She also is a member of the Notre Dame ASCE Student Chapter, and her work on the steel bridge team helped inspire her interest in bridge work. Aniket Yadav is a student leader at Maharishi Markandeshwar University in Ambala City, India, having participated in prominent civil engineering festivals in India, including the Indian Institute of Technology, Bombay’s annual technical festival, Aakaar ’16, his home university’s civil engineering festival, and SwaroopMM ’17. He is also the technical coordinator for Excelsior, a civil engineering club at Maharishi Markandeshwar that organizes various technical, social, and sports events for the school. Yadav has contributed to a number of major engineering projects, including the Chenab Bridge Project Undertaking, known as the world’s tallest arch rail bridge project to date, and tunnel No. 5 of the Udhampur-Srinagar-Baramulla rail project. “Making a difference and changing the world are two main reasons why I want to become a civil engineer. From my childhood I dreamed of becoming civil engineer, and nothing seems better than fulfilling that dream,” Yadav said. Yadav is also a member of the Helping Hand Welfare Society, which helps to provide education and support to underprivileged children, and the civil engineering organization, Survey Camp, where he leads his own team in competitions.